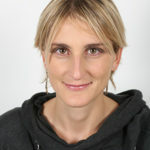 The above paper, written by Caterina Gennaioli and Massimo Tavoni, will be presented. Taking a political economy approach, the link between public support schemes for renewable energy and the potential scope for rent seeking and corruption is analysed. The insights of a model of political influence by interest groups are tested empirically using a panel data of Italian provinces for the period 1990-2007. The authors found the following: i) criminal association activity increased more in windy provinces and especially after the introduction of a more favourable policy regime and, ii) the expansion of the wind energy sector has been driven by both the wind level and the quality of political institutions, through their effect on criminal association.